My name is Jane Collingwood – I am a qualified psychotherapist running a general private practice offering support in all aspects of life – with specialist experience as a Bereavement Counsellor and an approved therapist for Anxiety UK. I offer a confidential professional space – giving you the opportunity of exploring and understanding issues troubling you. I offer private counselling in both Tavistock, (within reach of Plymouth, Liskeard, Launceston, Okehampton and many other locations on and around Dartmoor, Devon) and Henleaze, Bristol. (with easy access from all surrounding areas). Why YOU react a certain way. Why perhaps you continue to repeat behaviours that leave you unhappy. what boundaries YOU need to keep in place to keep yourself safe and secure. All of this will not only increase your own mental well being and ability to cope and function but it also increases your ability to convey this successfully to others – thereby improving the relationships you have with those around you. 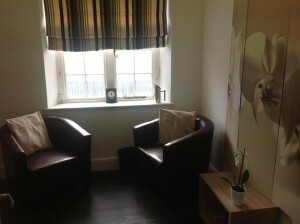 Counselling is about helping you to find answers to your own unique issues and problems – Finding answers and solutions that make sense to you and that can fit in with your world. You will not be judged or told what to do by me – but offered empathy and understanding. Understanding, Accepting and Believing that we do have a choice of how and when we act – within our our limitations and boundaries – allows us to communicate and interact with others in the confidence that we are being true to ourselves and in turn true to those around us. © 2019 Jane Collingwood Counselling.